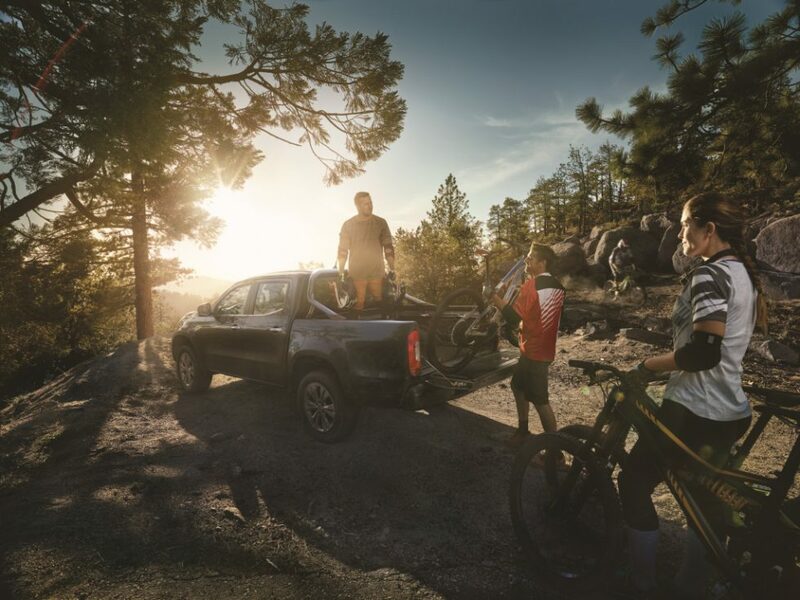 On the occasion of the market launch of the X-Class, Mercedes-Benz Vans is extending its commitment to sports: next to triathlon and surfing, the brand with the star is now also supporting the trend sport of mountain biking. At the core of the commitment is the partnership with the Union Cycliste Internationale (UCI). 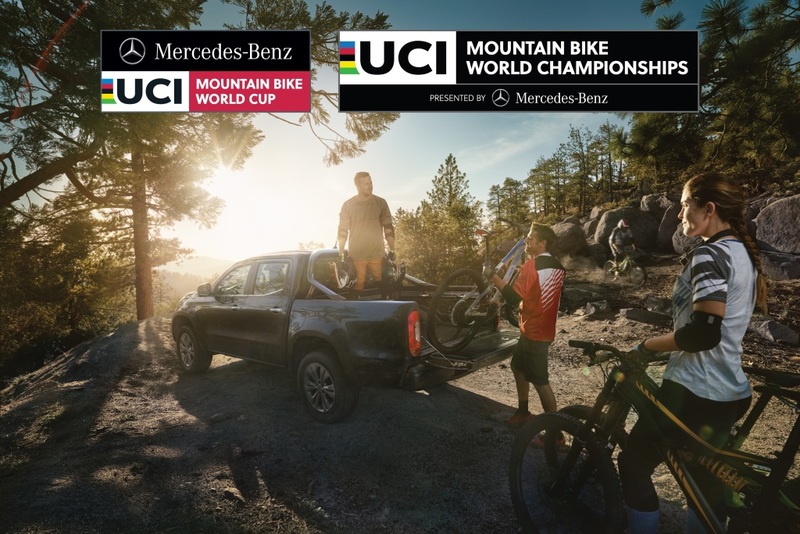 From 2018 the Mercedes brand will become presenting sponsor of the the UCI Mountain Bike World Championships and title sponsor of the UCI Mountain Bike World Cup. The new X-Class will be present at the races, accompanied by a number of marketing initiatives. A large load area, suitability for off-road use, comfortable, outstanding design: the Mercedes-Benz X-Class is the ideal companion for mountain bikers, whether tackling rocky mountain terrain or riverbeds. “Mountain biking enjoys tremendous popularity around the world – both as a hobby and a professional sport. The UCI Mountain Bike World Cup takes place globally, and attracts hundreds of thousands of spectators. It is additionally broadcasted in 86 countries. As such mountain biking, and in particular the partnership with the UCI, is a perfect match for our X-Class. 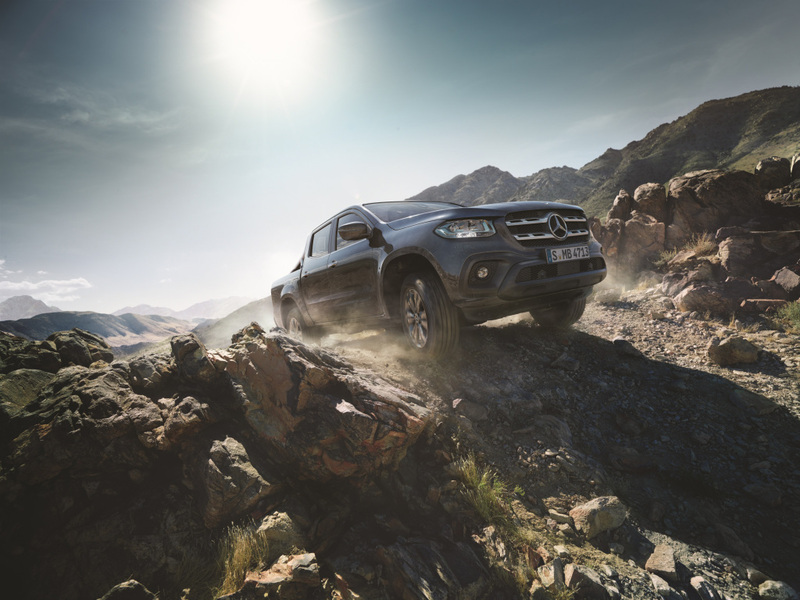 The X-Class is aimed at sports enthusiasts and those who live an active lifestyle. The core markets are not only Europe, but also Australia, South Africa and South America”, explains Sonja Schneemann, Head of Marketing Communications and Operations Mercedes-Benz Vans. “Furthermore, the X-Class is highly suitable for off-road use – even in riverbeds or rocky mountain terrain – and provides sufficient stowage space in the load area for transporting bulky sports equipment. On top of all this, it boasts a cool design and plenty of comfort. The ideal combination – especially for mountain bikers”, adds Sonja Schneemann. 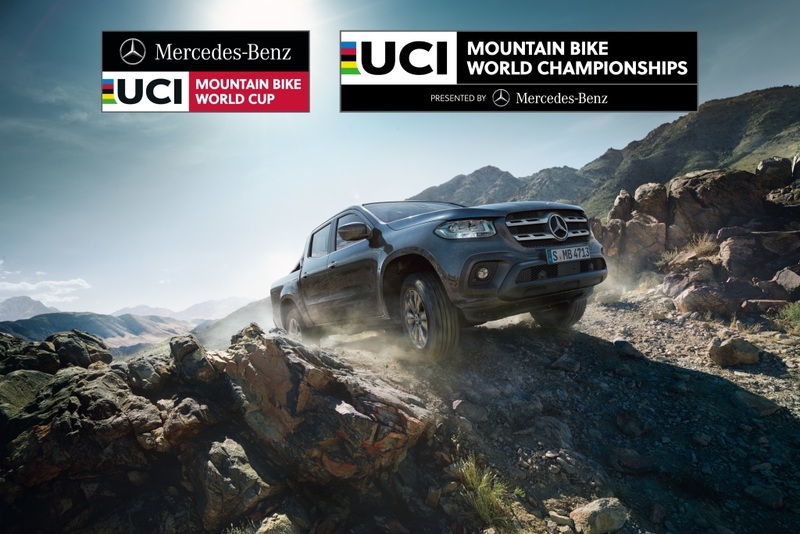 The commitment to UCI mountain biking with the new Mercedes-Benz X-Class will be accompanied in 2018 by a host of comprehensive online and offline marketing initiatives. For example, spectators can look forward to promotion packs, VIP tickets, VIP rides along the competition route and test drives in the pickup. In addition there will be targeted use of social media under the hashtag #MBWorldCup. The partnership will be launched with the first World Cup race in Stellenbosch, South Africa, on 10 March 2018. The Mercedes-Benz X-Class unites the typical characteristics of a pickup with the classical strengths of a Mercedes: convincing robustness with modern design, impressive off-road capabilities with high driving dynamics and safety, sophisticated functionality and stylish comfort. The new X-Class has a comfort suspension with a ladder-type frame, rear multi-link solid axle, front independent wheel suspension and coil springs at both axles. On this platform it enters the market with different design and equipment lines, various drive variants, the largest choice of materials and colours in the segment and an extensive range of accessories developed by Mercedes-Benz which allow for further individualisation. In terms of pricing, the X-Class is positioned attractively in its segment: the vehicle is available from November in Germany with prices starting at 37,294 euros (incl. 19 percent VAT in Germany). Founded on April 14, 1900, in Paris, France, the Union Cycliste Internationale (UCI) is the world governing body for cycling. Its mission consists of developing and overseeing cycling in all its form, for all people. From a competitive sport, as a healthy recreational activity, as means of transport, and just for fun. The UCI governs eight disciplines of the sport of cycling: road, track, mountain bike, BMX, para-cycling, cyclo-cross, trials, and indoor cycling. The UCI Mountain Bike World Cup was created in 1991. Races take place in cross-country Olympic and downhill, on several continents and in several age classes. Mercedes-Benz Vans is becoming the main partner of the UCI Mountain Bike World Cup and World Championships.